Living in this beautiful country of ours, we are definitely gifted with gorgeous winters. Sometimes it gets rough but, we always make the best out of it. Canadian winters are notorious! But this collection will warm your heart, brighten your day, and lift your spirits with its 101 stories about embracing and making the most of those long winter months. Winters in Canada are tough, but so are the people! 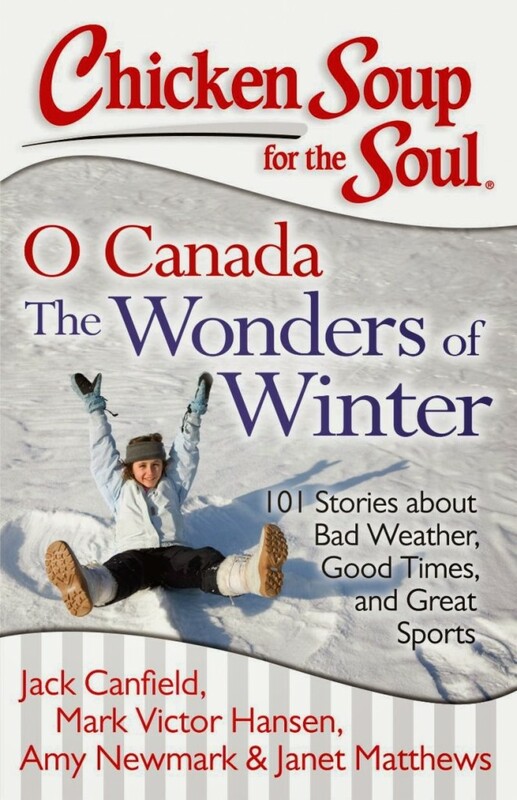 Any Canadian – from east to west coast; from city to rural – will love the 101 stories in this new collection about embracing those long winter days and making the most of them. Filled with amusing and encouraging stories about weathering the cold, creating warm memories with family and friends, and playing great winter sports. What I loved about the book is that you can literally be transported into the wonders of Winter, right from the comfort of your own home. You will read about our great sports like curling, skiing and skating. How we cope with winter, cold, ice and snow! The best part was how we all come together and how neighbors help neighbors when winter gets bad! Three lucky Whispered Inspirations readers will with 1 of 3 Chicken Soup for The Soul books. This contest is open to CANADIANS only! It starts on December 22nd, 2013 to January 06th, 2013. My favorite part of winter is first my birthday and then Christmas. Watching the big snowflakes fall is my favourite. The snow! The more the better! Christmas is my favourite part of winter. Making snowmen for the first time with my youngest. My favorite part of winter is coming back inside to get warm! My favorite part of winter is that it ends. Making snowmen is my favourite part of winter. Taking the kids to get the Christmas tree – out in the bush ourselves. My favourite part of winter is enjoying all the hot beverages that come with this season like apple cider and hot chocolate! My favorite part of winter is the coziness of sitting by the fireplace reading a good book! …Looking at the snow sparkling in the sunlight !! !